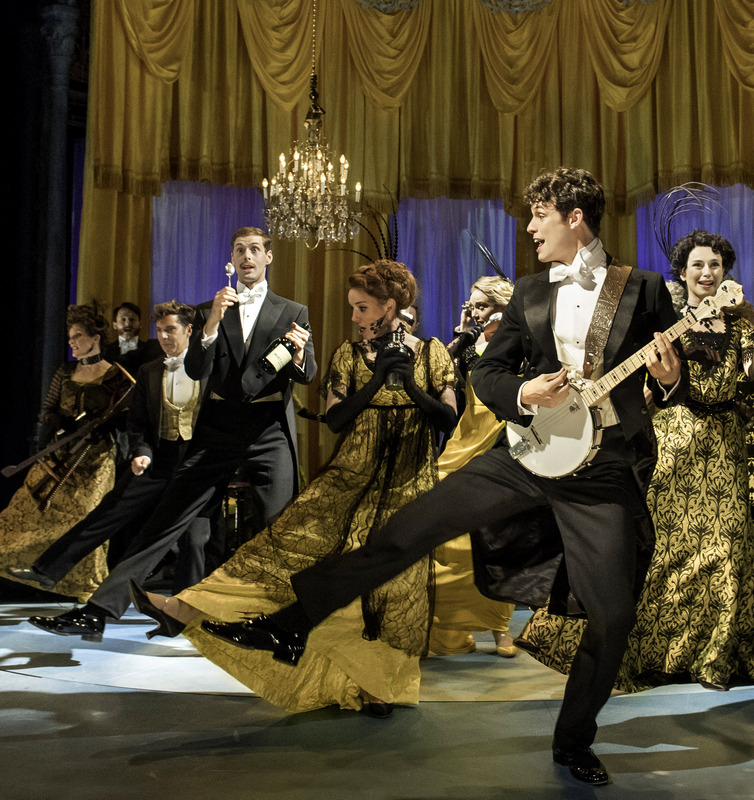 Brimming with lively energy and infectious charm, classic musical Half A Sixpence benefits mightily from the Cameron Mackintosh reinvention treatment. The secret of the original 1963 musical, a star vehicle for megastar of the day Tommy Steele, is that it was based on the semi-autobiographical novel Kipps by H. G. Wells. 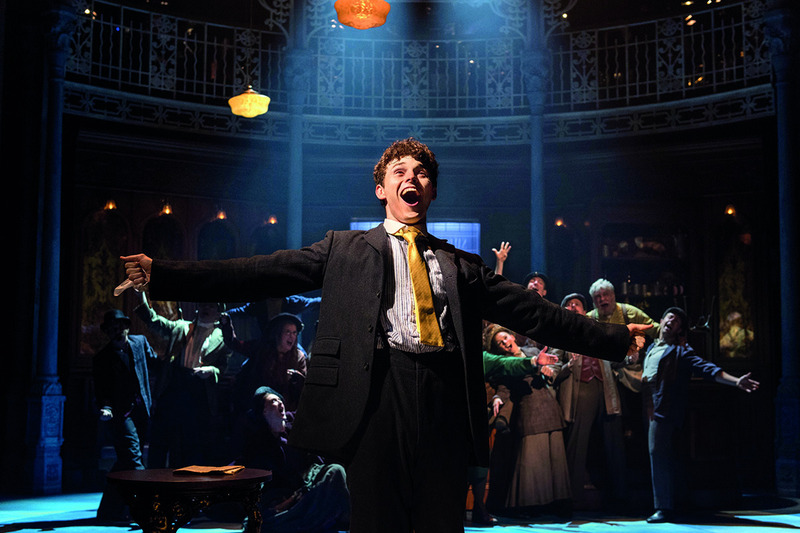 Returning to the source material has strengthened this new version of Half A Sixpence, fleshing out supporting characters and incorporating resonant social commentary as young Arthur Kipps navigates the social classes of late Edwardian England. Mackintosh, serving as co-creator as well as producer, reunited the highly successful Mary Poppins writing team to rewrite the musical, which had originally suffered from an awkward structure and a top-heavy focus on lead character Kipps. Book writer Julian Fellowes (Downton Abbey) is in his element, integrating an abundance of social mores and manners throughout the tale. Composers George Stiles (music) and Anthony Drewe (lyrics) have adapted and extended the original score, by David Heneker MBE, infusing the show with the modern musical theatre sophistication in which songs reveal character and drive the plot forwards. 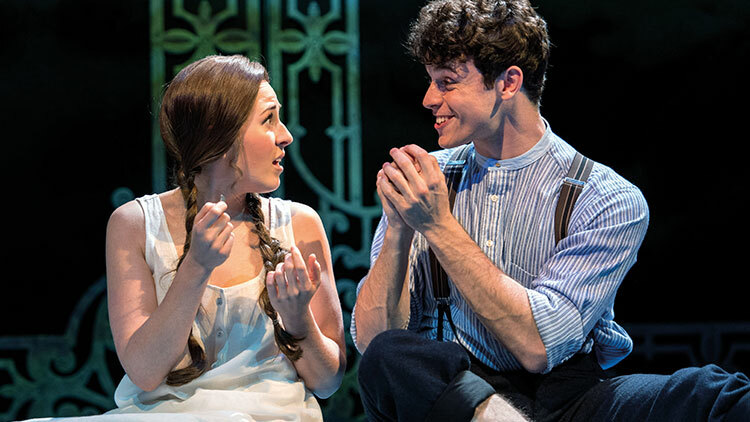 In enhancing Heneker’s songs, Stiles and Drewe do not quite reach the giddy heights of Mary Poppins’ “Jolly Holiday” and “Supercalifragilisticexpialidocious,” but there are an abundance of catchy toe-tapping tunes on stage. By moving hit song “Flash, Bang Wallop” to the act two finale, the pair has written, in its place, a showstopper for the ages in “Pick Out A Simple Tune.” Beginning just with Kipps on his beloved banjo, the number erupts into a joyous rhythmic feast as the stuffy guests at Lady Punnet’s musical soiree join in on spoons and anything else they can get their hands on. Just try getting that melody out of your head during the first week after you hear it. The show appears to break a basic rule of musical theatre writing when Kipps receives the goal of his I wish song in very short order. Directly after the “Money to Burn” reprise, Kipps discovers he has inherited a fortune from his heretofore unknown grandfather. The show progresses on without much tension for a time, but then focus shifts to the outcome of the central love triangle. Will Kipps remain with his major crush Helen Walsingham (and her grasping family) or reunite with his childhood sweetheart Ann, now a parlour maid? Only time, and a small handful of introspective ballads, will tell. Production designer Paul Brown has crafted a handsome staging that blends technology with tradition. Borders of white ornamental wrought ironwork frame the action, with a donut stage revolve facilitating flow. Some locations are created with projections (designed by Luke Halls) on giant rear curved screens, while at other times, these screens open to reveal fully realised settings. Brown contrasts the uniformed and dark coloured dress of the working and serving class with the unbesmirched white and cream of the upper classes. Newly moneyed, Kipps stands out from the crowd in a number of dandy suits. A highlight of the stylised costuming are the dresses worn by female guests at Lady Punnet’s soiree, which are all variations in chartreuse with black trim. Director Rachel Kavanaugh keeps energy broad and high, and clearly establishes the range of colourful characters. A significant proportion of the enjoyment of the show can be attributed to the terrific work of choreographer Andrew Wright. 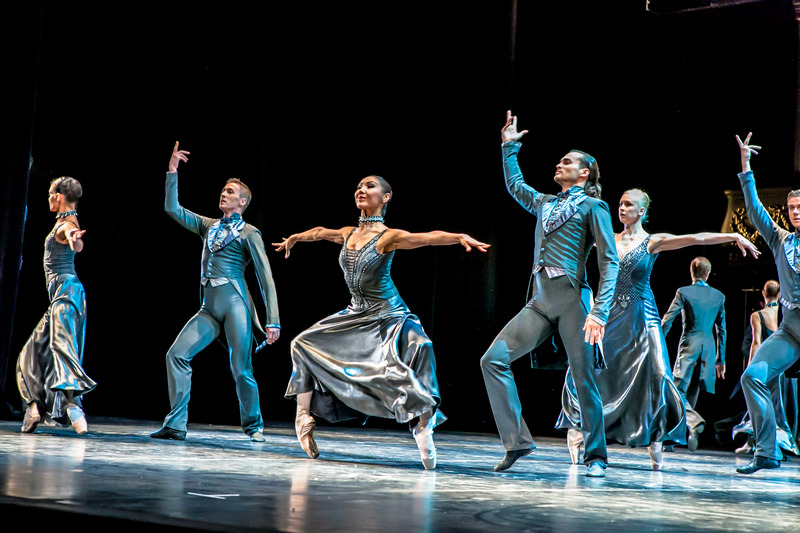 The tightly drilled choreography is frequently spectacular, and is well integrated with the storytelling, in that dance is seen to emanate from the exuberant joy of the characters. Wright is truly blessed to have a leading man of such incredible dance ability. 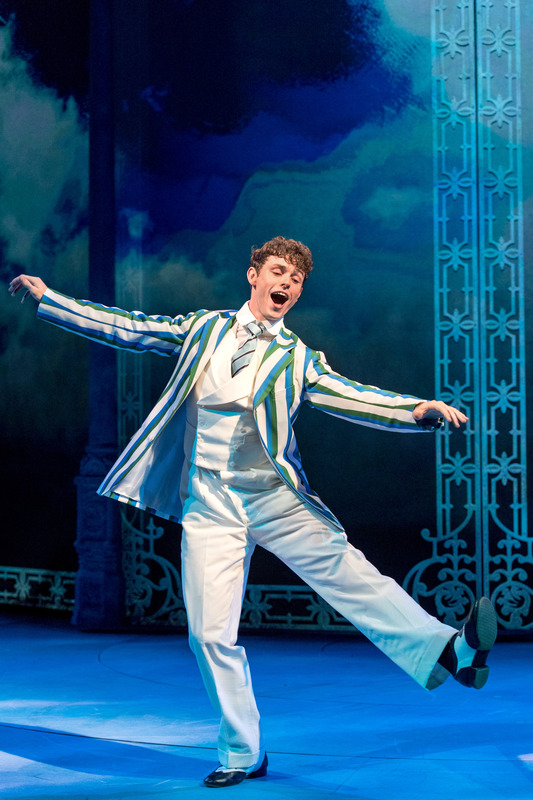 Breakout West End star Charlie Stemp, only 22 years of age, is an extraordinary triple threat who can perform all manner of eye-popping dance moves, even while singing a solo. 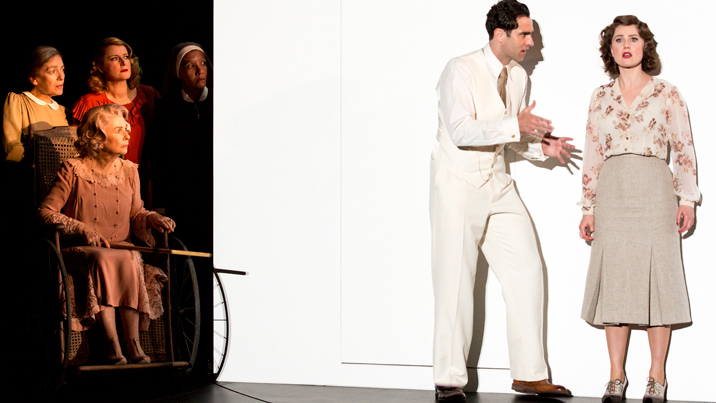 On stage for almost the entire show, Stemp’s wide-eyed charm carries the show while never upstaging his numerous co-stars. Writing and direction are in Stemp’s favour, as the vulnerabilities of Arthur Kipps and the trials he endures increase his likeability exponentially. As Ann Pornick, Arthur’s first love, Devon-Elise Johnson sings with warmth and strength and has the audience clearly on her side. 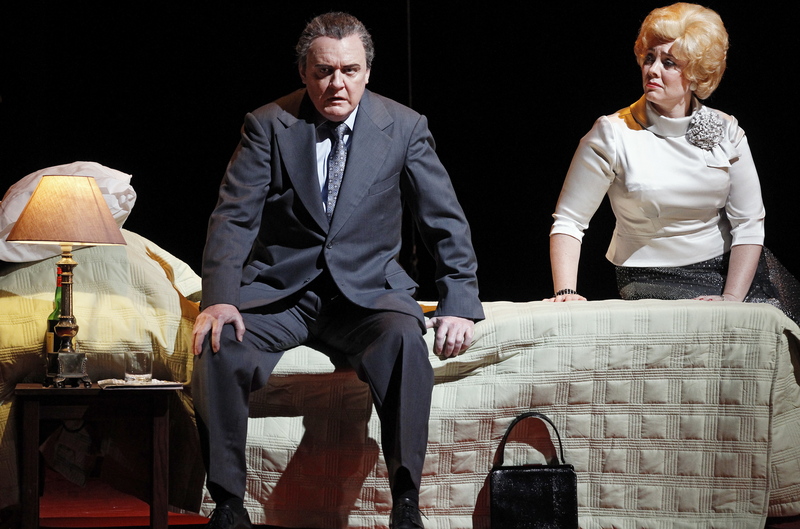 Emma Williams manages to bring a note of sympathy to plummy-voice beauty Helen Walsingham, balancing the triangle with a degree of sympathy in her favour. 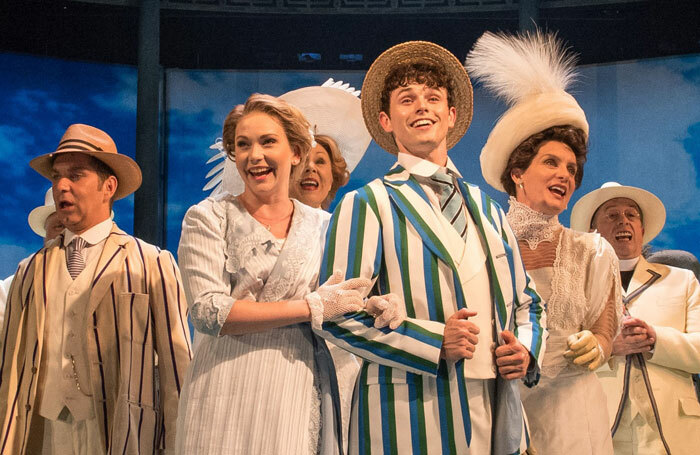 Half a Sixpence is perhaps a rifle overlong at 165 minutes (including interval), but it’s lively finale and curtain calls leave the audience on a jubilant high. Hopefully the production will be enough of a hit to make its way to Australia, where it is sure to be embraced. Half a Sixpence was reviewed 7.30pm Monday 9 January 2017. 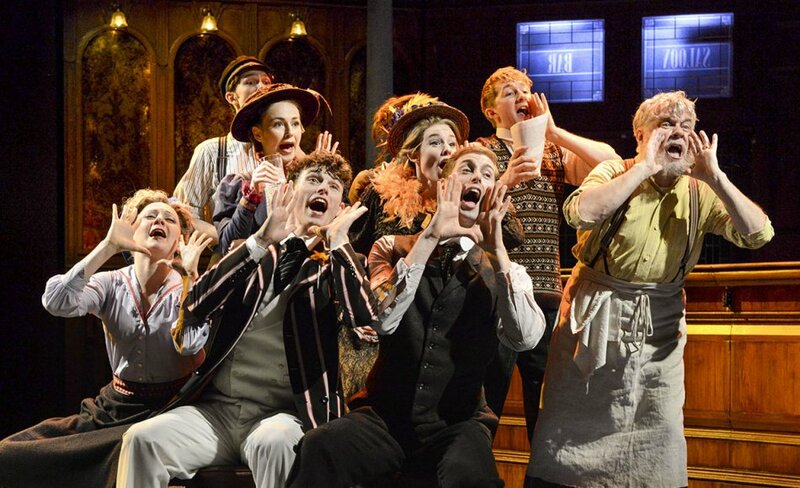 Half a Sixpence plays at Noel Coward Theatre, London. What a fabulous treat. Thank you for reviewing one of my favourite shows. Keeping my fingers crossed that it comes to Australia one day. Thanks Nick. I’d love this to come to Australia. Meanwhile, I’m going to see it once more before I head back home..